At Illuminate Education, you can experience what it's like to be a professional software engineer! "The Illuminate Internship Program is our way of doing good for the world. We wanted to give teens-especially young women- the opportunity to get exposed to programming. The best programmers I know started at this age." 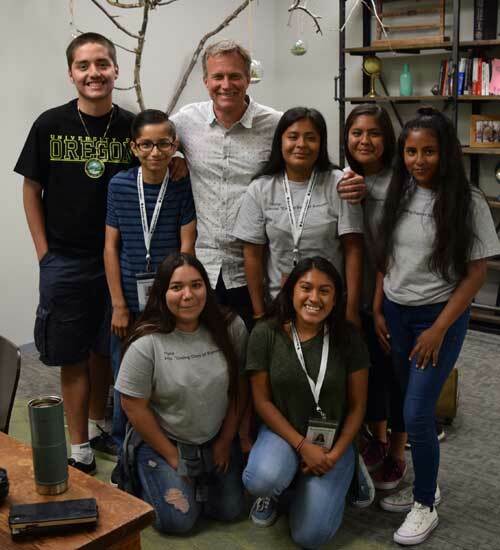 Our Internship Program gives underrepresented middle and high school students a chance to work alongside our developers at our headquarters in Irvine, CA. We sponsor eligible students to go through an introductory web development course which culminates in a 2-5 day working visit at our office. Students go through the entire software development cycle as a team of junior software engineers, from wireframing to pair programming to presenting on release day. At the end of each internship, students will have completed their first project for a portfolio that can be used in future college and job applications. In your week with us you'll develop real world skills, get first hand experience at a tech company, and broaden your future career opportunities. © 2016 Illuminate Education All rights reserved.